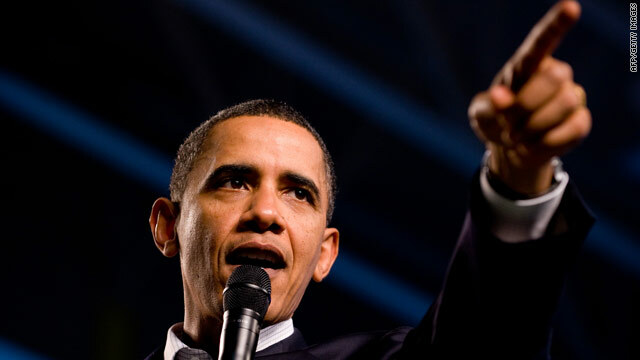 Obama's spending freeze: Prudence or posturing? (CNN) -- President Obama's proposed spending freeze could help him recapture the favor of centrist voters, but critics blast the move as nothing more than political posturing. The president is expected to call for a partial, three-year freeze on discretionary spending in his State of the Union address Wednesday, according to two senior administration officials. The cuts, which Obama will say would save $250 billion, would not apply to national security spending and would not affect major entitlement programs like Medicare and Social Security. The proposal comes as the president's poll numbers dip and concerns about the economy and the federal deficit flare. It also comes after a shocking election loss for Democrats in Massachusetts, which many have interpreted as an expression of voter frustration with the way Washington is handling the economy. "I applaud [Obama] for attempting to have some fiscal restraint," Republican strategist Ed Rollins said. "But at the end of the day, he's got to make sure the Democrats are disciplined and they don't have big spending programs alongside of this." Under Obama's plan, all federal discretionary spending would be frozen at its current level of $447 billion per year. Individual federal agencies would have the power to give some programs increases, while cutting money elsewhere. Both chambers of Congress would have to approve the freeze when they take up the president's budget for fiscal year 2011, which starts in October. Obama will send his budget plan to Congress after the State of the Union. Jeffrey Sachs, an economist and director of The Earth Institute at Columbia University, said Obama's move doesn't make much sense, following a year of unprecedented government spending and a $787 billion stimulus package. "A little bit of disarray, it seems. Last year, just spend, throw everything into a stimulus package ... and then this year, just across-the-board freeze. Frankly, the government has to make better choices and better plans than throwing things into a big pot in one year and then freezing across the board the next year," he said. Obama dismissed the idea of an across-the-board spending freeze during a presidential debate in October 2008. "It sounds good. It's proposed periodically. It doesn't happen," then-candidate Obama said. "In fact, an across-the-board spending freeze is a hatchet, and we do need a scalpel because there are some programs that don't work at all. There are some that are underfunded. I want to make sure we're focused on the programs that work." Republican reaction to Obama's proposal was split, with some senior GOP aides saying it is something they could support, and others saying it did not go nearly far enough. "Given Washington Democrats' unprecedented spending binge, this is like announcing you're going on a diet after winning a pie-eating contest," said Michael Steel, a spokesman for House Minority Leader John Boehner, R-Ohio. "Will the budget still double the debt over five years and triple it over 10? That's the bottom line." The senior administration officials acknowledged that discretionary spending is only about one-sixth of the entire federal budget, but said the White House believes that cuts need to start somewhere. The move is Obama's latest step down a path to a more populist message, aimed at reassuring Americans nervous about the slow pace of the economic recovery. The president on Monday proposed nearly doubling the child care tax credit for middle-class families. Obama is expected to talk about efforts to create more jobs and spur the economy in his speech Wednesday. The White House has put a greater emphasis on the economy in the days since Democrats lost their 60-seat supermajority in the Senate. Republican Scott Brown defeated Democrat Martha Coakley in a special election last week to serve the remainder of the late Ted Kennedy's Senate term. Brown capitalized on voter frustrations and captured the independent vote in Massachusetts, a Democratic stronghold. "I think that is a wake-up call for everybody in this town," White House press secretary Robert Gibbs said a day after the election. Obama's proposal will likely set the stage for a fight with some liberals, but polls suggest it might not be a bad thing for the president to occasionally break ranks. A CNN/Opinion Research Corp. survey released Monday indicates that seven in 10 Americans think that the Democrats' loss of their 60-seat supermajority in the Senate is a positive step for the country. Observers note it will also put Republicans in a position where they can show if they are willing to meet the president halfway. Democratic strategist James Carville said Tuesday that Obama needs to take control of the narrative in order to get back on track. "Until this administration stands up and says 'This is what we will face, and this is what we did, and this is our strategy' -- these things are going to continue to happen," he said. CNN's Dana Bash and Ed Henry contributed to this report.